Convert your boring lists to Interesting Graphics using the list option in SmartArt. 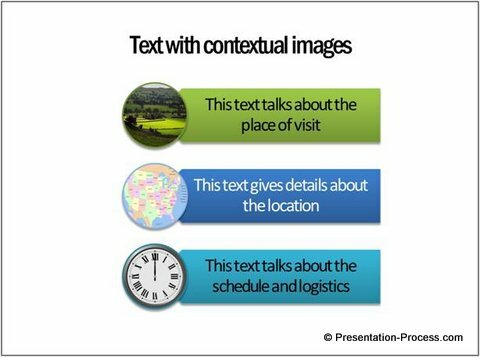 Discover the benefits in using Smart Art as an alternative to the regular bullet point slides. Why convert your bulleted lists to Smart Graphics? 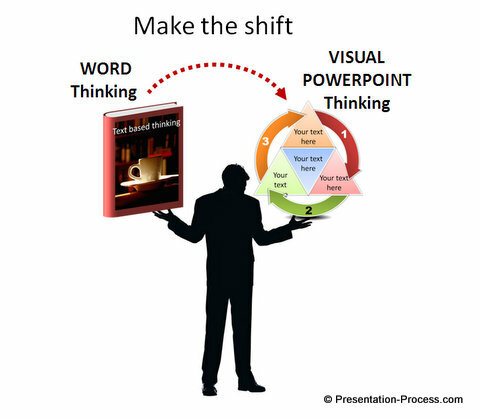 Many business presenters think in ‘Word’ mode instead of in ‘PowerPoint’ mode when they create their slides. They literally write everything in their head on their slides. Then, they read those slides aloud in the boardroom and send their audience on a mental vacation. 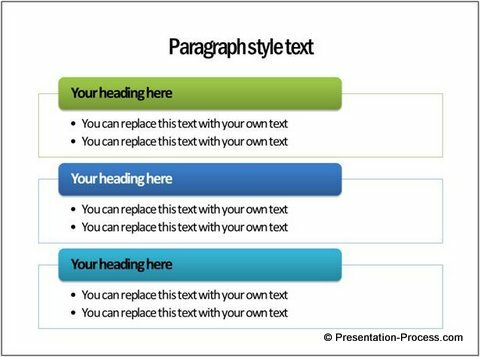 The single biggest benefit of using Smart Graphics instead of the usual bulleted list is – it forces you to think in ‘PowerPoint mode’. 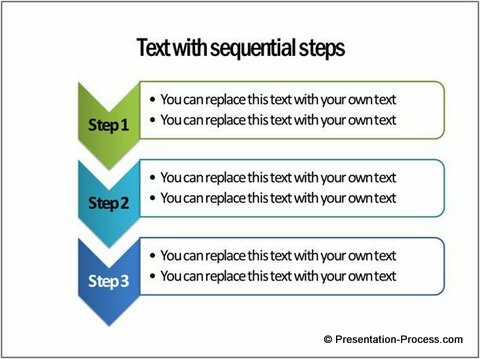 You group the information into logical chunks, illustrate the points with relevant graphics and write just enough text to support your talk. 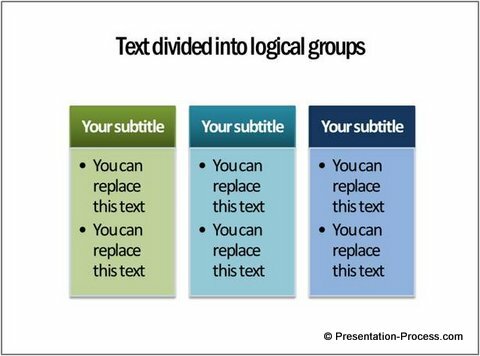 The simplest thing you can do to improve the effectiveness of your slide is to spend a little time organizing your information into logical groups before you start typing your text. 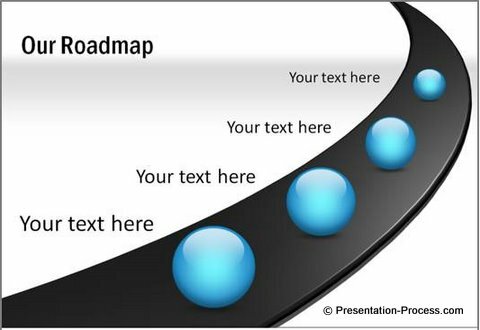 When you present your points by dividing them into clear categories, you help your audience understand and remember your message better. Can you see the difference this makes to the layout of your slide? We used simple icons for Pros, Cons and Caveats. The audience gets the context of the slide in one quick glance. Smart Art offers a number of options to help you think and present your information in an organized way. But, working with SmartArt is not always easy. The choices offered by the tool are too few for a business presenter’s need. 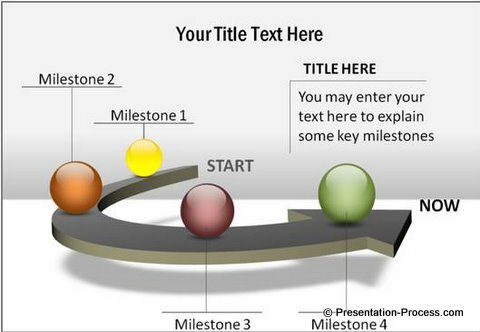 If you are a business presenter, we recommend you take a look at our diagrams collection. The options will inspire you to visualize your ideas better. 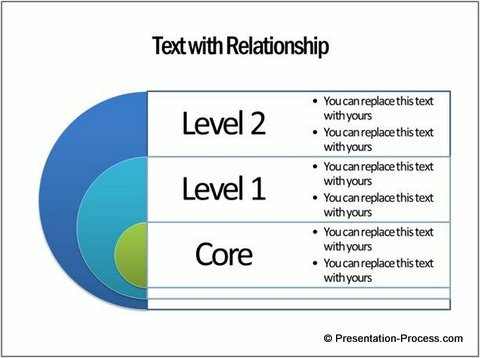 Once you choose the right template from our pack, you can copy our diagrams to your slides and replace sample text. Your professional presentation gets ready in minutes.